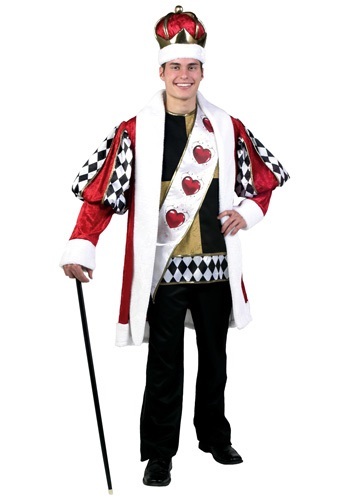 Plus Size Deluxe King of Hearts Costume By: Fun Costumes for the 2015 Costume season. Crown yourself royalty when you wear this Plus Size Deluxe King of Hearts Costume! This is a great costume to pair with a Queen of Hearts costume. You'll feel dapper and regal, especially when standing next to your lady. Pick up a black cane to complete the look!